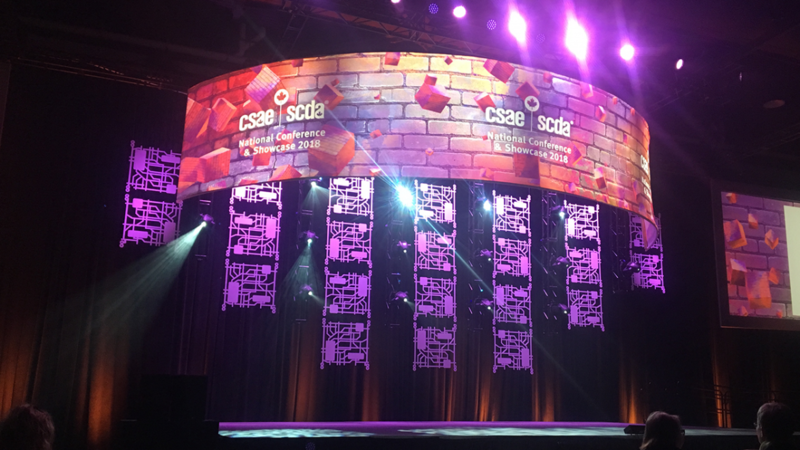 The Canadian Society of Association Executive’s (CSAE) 2018 National Conference was held in Ottawa from October 24 – 26, 2018. This annual event brings together a diverse group of people, from association CEOs and event planners to industry professionals such as hotel sales executives and audio-visual suppliers. For some, this conference is the opportunity to reconnect with friends and colleagues, for others, it’s a chance to make new connections and partnerships. As an event planner with nearly 20 years of experience under my belt, I am a huge believer in face-to-face meetings. This is where ideas are generated and solutions are found. It’s all about learning and gaining insight to new trends and ways of engaging those we do business with. I am constantly looking for ways to engage my clients and share my knowledge in a way that can help them with their events. Along with great networking opportunities, there were some really interesting educational sessions. The opening keynote at the conference was given by Ron Tite who is an engaging and entertaining speaker. His message to the delegates: The Coup: How to Lead and Create Disruption Within Organizations & Industries was insightful and relevant for both associations and industry leaders. Here are a few takeaways that hit home for me and make perfect sense. Anyone can profess what their organization’s values are, or post them on their website. In this day where ROI is more important than ever, clients want to see for themselves that organizations they “invest” in, practice what they preach. Uber, Lyft and Airbnb are leading the way in innovation. When these business models entered into our everyday world, it caused chaos (literally in some places) and threw a wrench into what people were traditionally used to. These are prime examples of disruption. They saw an opportunity in the millennial market and found a way to make it work. Has it forced the taxi industry and hotel industry to “up their game” or “reinvent” themselves? Perhaps. In this age where it’s all about convenience, more industries are doing what they can to get a piece of the consumer pie. Ron Tite stated that it is important for organizations to understand who they want to reach and what it is they can do to help their client/member achieve their goal. The perfect examples of this are ride-sharing companies like Uber and accommodation providers like Airbnb who tapped into a demographic that was looking for something different and innovative. Innovation is not a one-shot deal. It’s ever evolving and changing. It’s being able to see a need and find a way to make it happen.